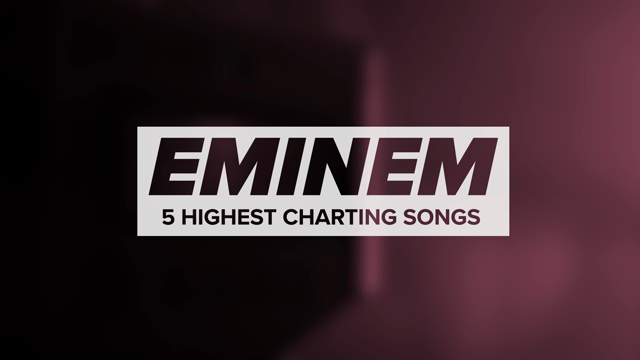 Including Erykah Badu, Janelle Monáe, Tyler the Creator, N.E.R.D., Miguel, Twin Shadow, Jamila Woods, and more. 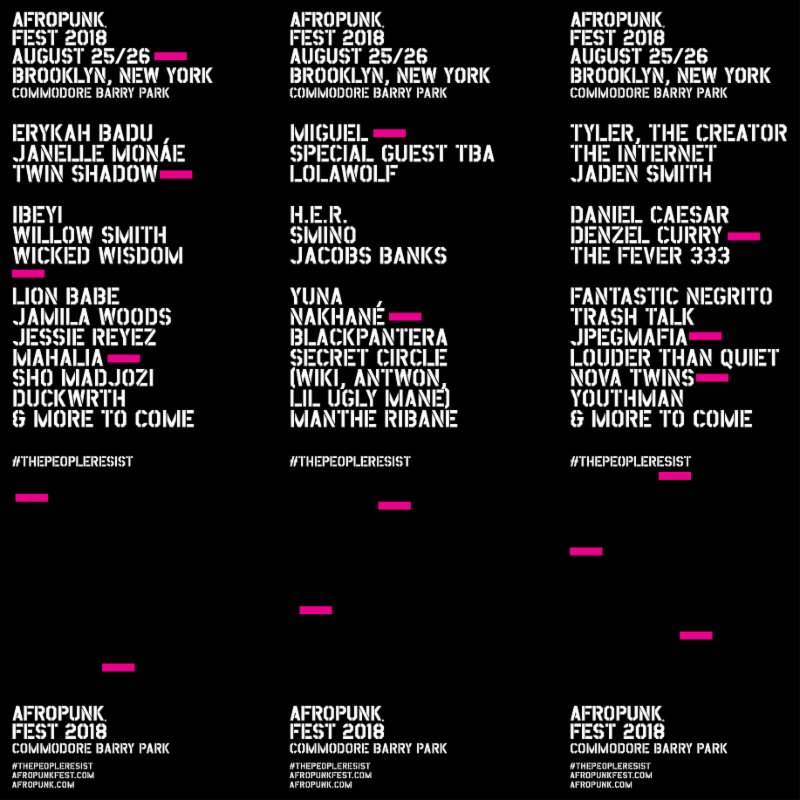 Afropunk will once again stage festivals in Brooklyn and Atlanta this year. Today, the preliminary lineups for both events have been revealed. Afropunk Brooklyn goes down August 25th-26th at Commodore Barry Park. The lineup includes Erykah Badu, Janelle Monáe, Tyler the Creator, Miguel, Twin Shadow, Jamila Woods, Jaden Smith, Willow Smith, Daniel Caesar, Denzel Curry, Fantastic Negrito, Trash Talk, Smino, and more. Tickets are now on sale. Afropunk Presents the Carnival of Consciousness goes down October 13th-14th at Atlanta’s 787 Windsor. 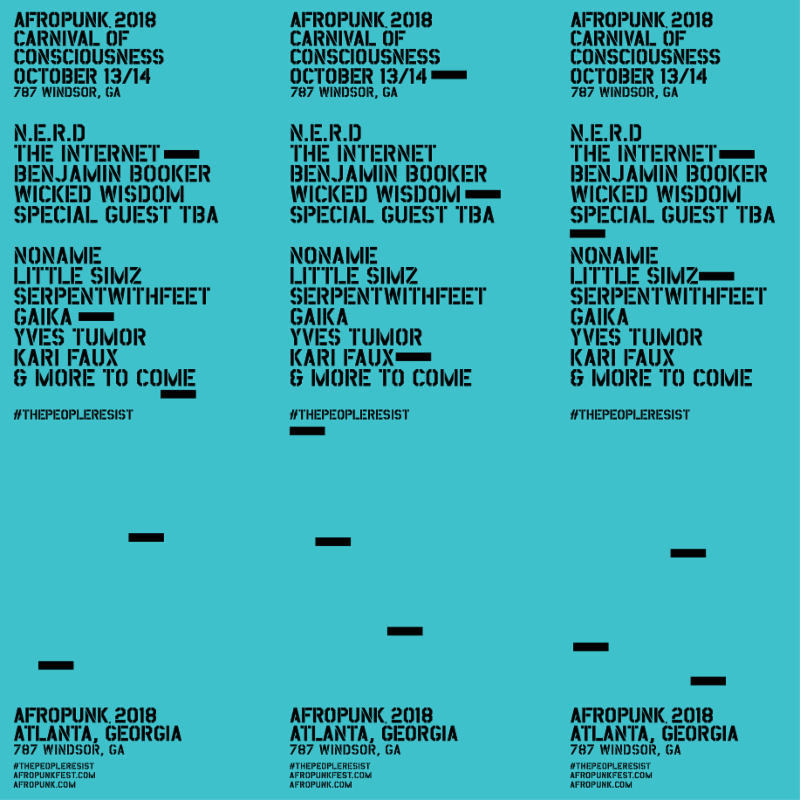 The lineup includes N.E.R.D., Noname, Benjamin Booker, The Internet, Little Simz, and Serpentwithfeet, with more acts still to be announced. Tickets are now on sale.